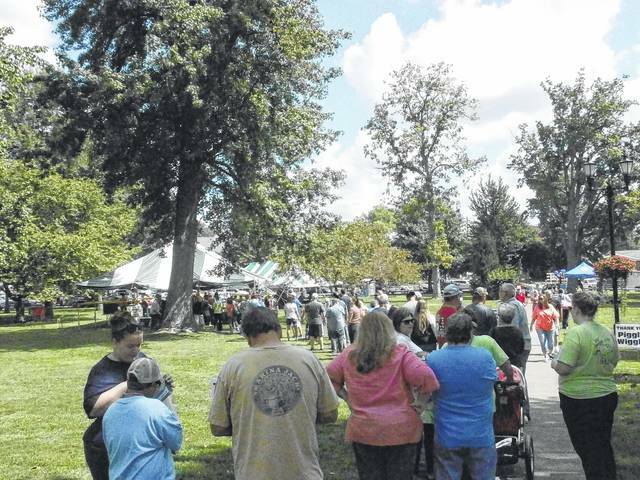 Good food and perfect weather combined for a huge turnout for the fourth annual Gallia County Barbecue Festival at Gallipolis City Park on Saturday. The grand champion was Rubb Runners, second place went to Smokey River BBQ, third place went to Chubby’s, the People’s Choice winner was BarberQ and Rowdy’s Best Ribs went to Backwoods Grillin’. The Anything Goes Secret Ingredient Competition was claimed by Chubby’s. Pictured is where the long line started for some of that barbecue, proving good things come to those who wait.